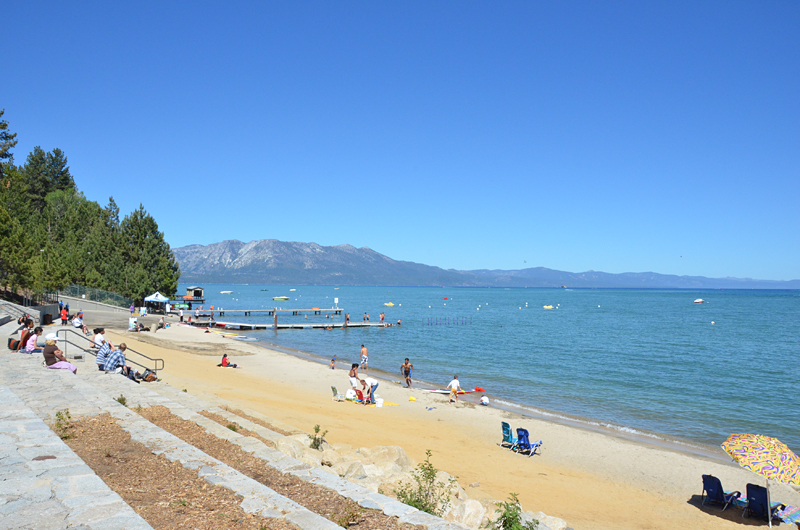 At the center of South Lake Tahoe is El Dorado Beach (also known as Commons Beach). 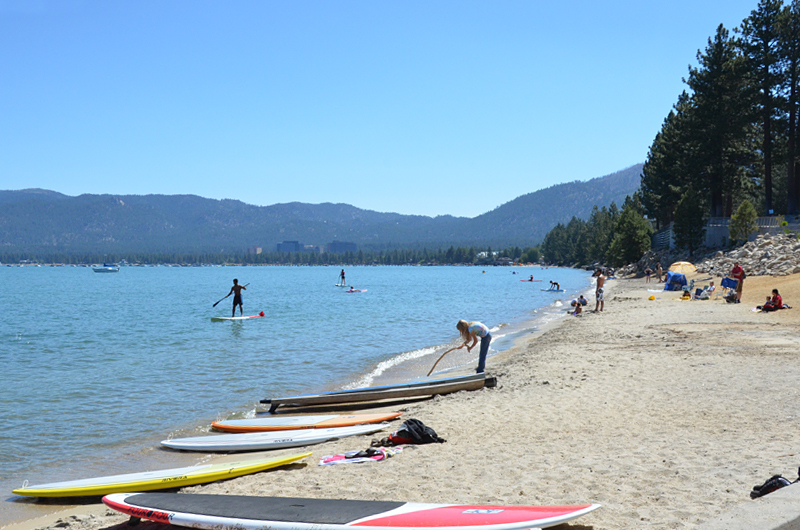 This South Lake Tahoe beach is popular with locals and visitors alike, the beach draws a large crowd who take advantage of the many activities available. 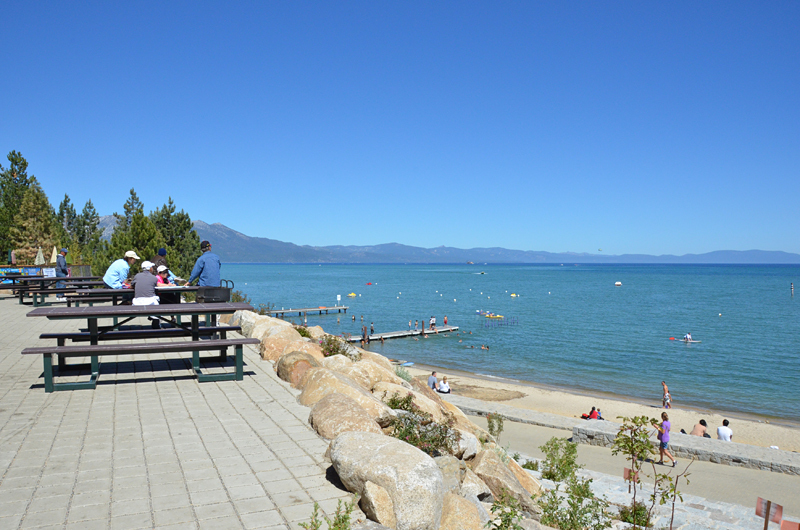 The picnic and barbeque facilities are fantastic, and there is a watercraft rental shop right on the beach. Beach-goers sun themselves on the large beach and tiered wall with lots of places to sit and take in the view. There is a wonderful roped off swim area that is fairly shallow for the kiddos. 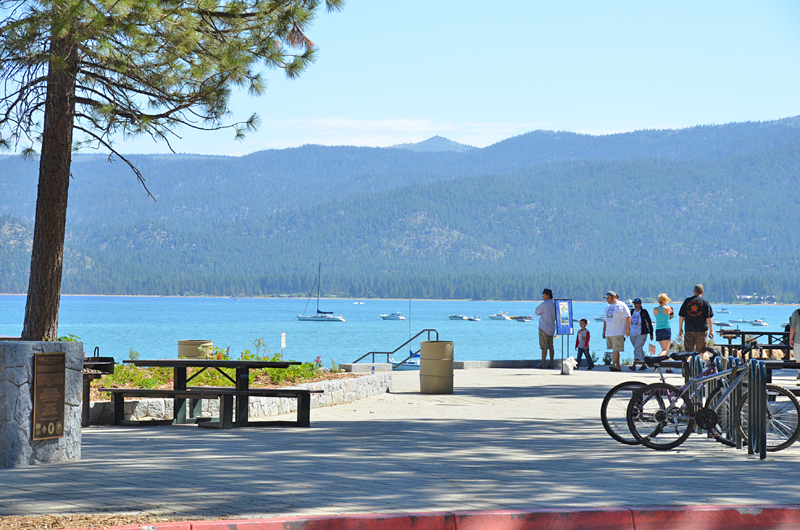 The El Dorado boat ramp is available to put your non motorized watercraft in the lake. There is a large lawn where picnickers can relax on a blanket and enjoy the view. 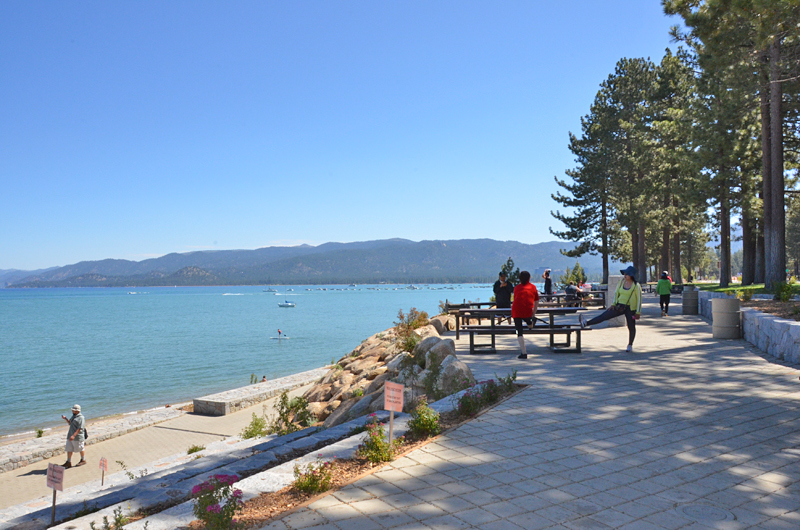 You will find a large picnic area with tables and barbeque pits for those who want to hang out near the beach. 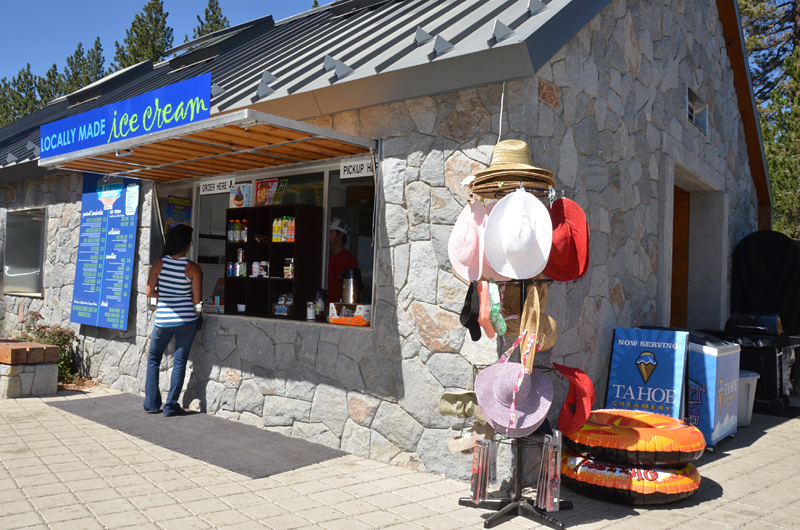 There is convenient food stand for yummy snacks and ice cream. 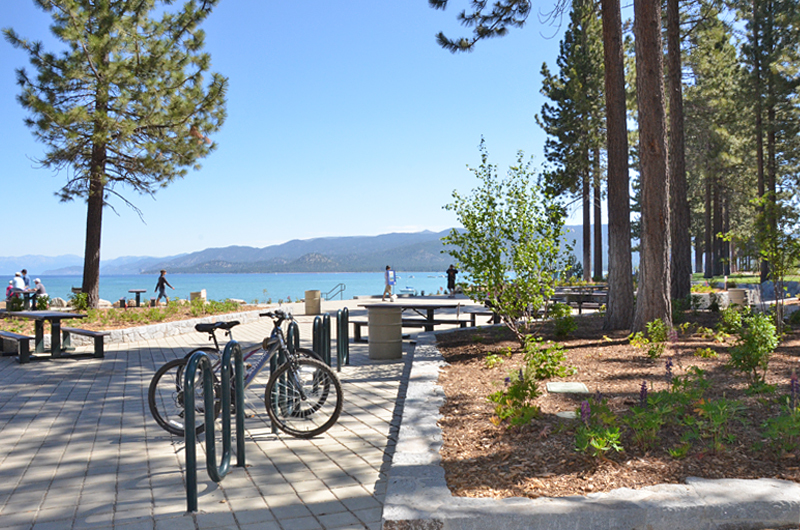 There are two parking lots with a parking fee, restrooms, and a bike trail. 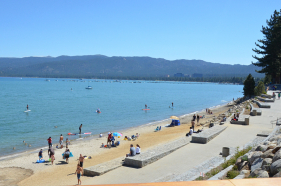 The Truckee River runoff causes the water to be a little more clouded than other beaches, but its large size and convenient location make up for it. 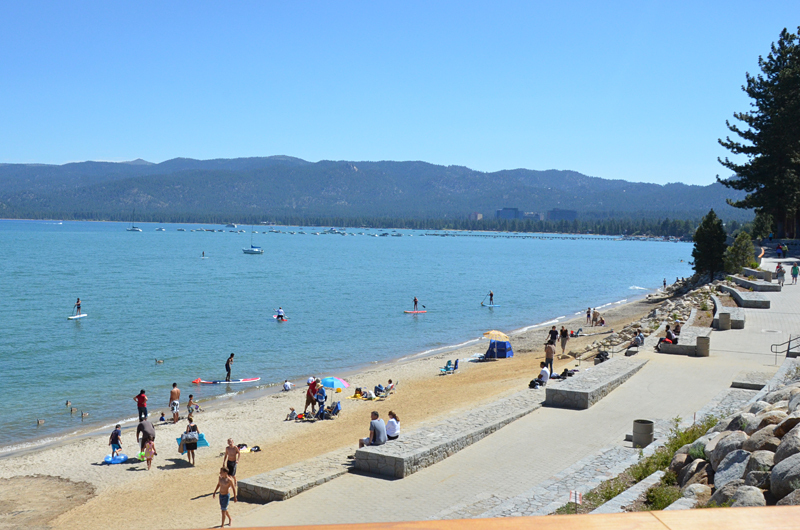 There are a number of local Lake Tahoe beaches nearby so take a minute to check out the beaches map for other choices. 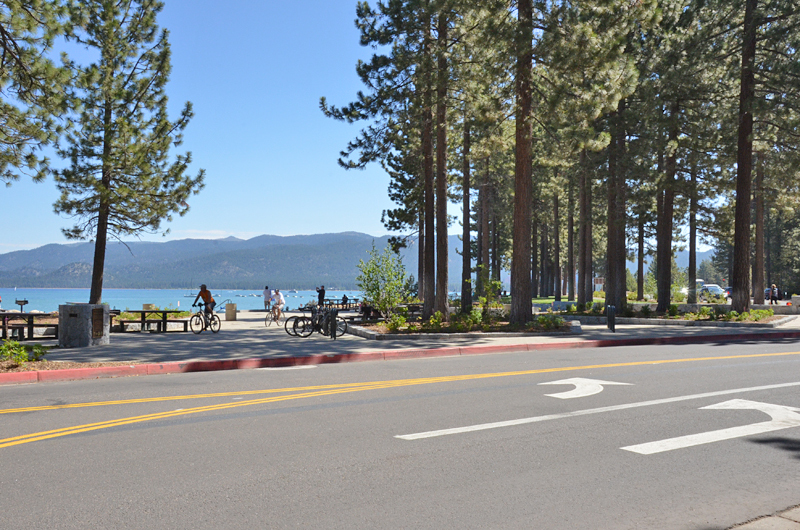 Location: You will find El Dorado Beach at the heart of South Lake Tahoe across from The Campground by the Lake on Hwy 50 and Lakeview Ave.